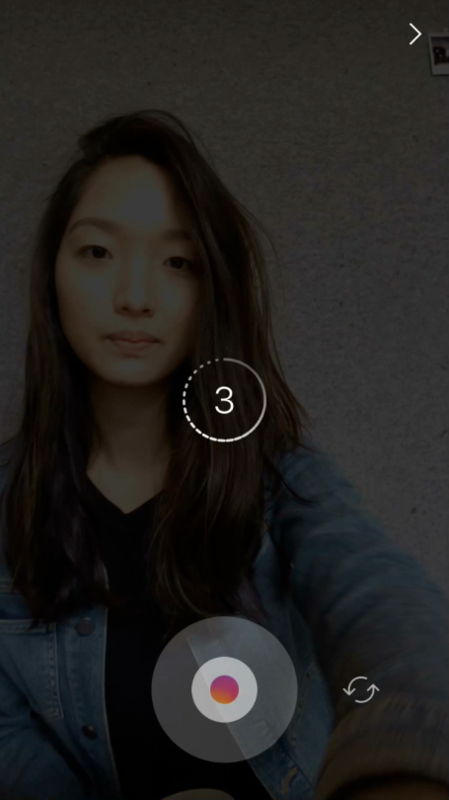 Instagram Stories Surpasses Snapchat By 20% & Adds New Features | Time For Creatives To Focus On IG? When we think of some of the best things in life, or at least things that make for some of the best stories and products, a common these throughout them is ‘spite’. Lamborghini’s car division was born of spite for Ferrari (or more Ferrucci’s for Enzo Ferrari), and Riva boats were largely born from it too. It seems nothing propels man to do something quite the way spite or revenge does, and it seems today that Instagram is the embodiment of that. It’s no secret that Zuckerberg wanted to buy Snapchat in its relative infancy for $3 billion back in 2013, an offer Snap’s CEO Spiegel declined. Since then, it appears Zuckerberg is using brute force to clone what he was denied purchasing, copying things like vanishing images and videos, video stories, stickers and augmented reality. Some may call this the highest form of flattery but that’s not how Snap’s investors see it, as they worry about the fact that Facebook and Instagram are so much bigger with much bigger audiences, and they struggle to see why would people use Snapchat instead. It looks now like their concerns have been validated. 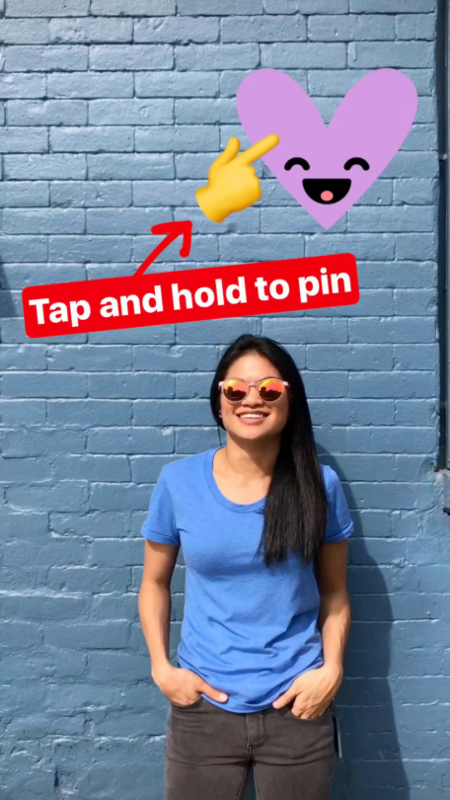 Facebook has the money, reach, and power to pretty much create what it wants, and thus far the features they’ve pulled from Snapchat have been implemented with more success than the originators. 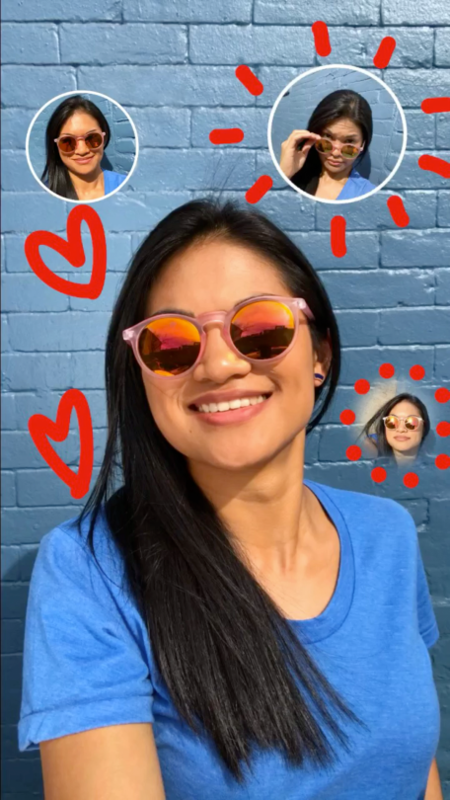 It’s reported now that Instagram Stories has hit 200 million active daily users, and that’s 20% more than what Spapchat claimed its service does when issuing their IPO. 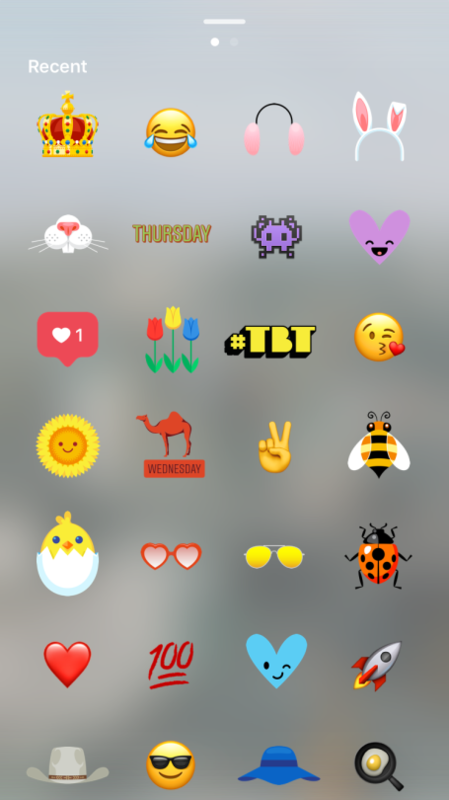 So, in a way, Instagram has dethroned Snapchat in the very thing that made Snapchat popular, and they’ve just release a few new features which you can find below. So what does this mean for creatives and photographers? Well, 161 million users is nothing to snub at, and before you think about abandoning Snapchat it may be worthwhile to figure out what your view-rate is like on both platforms. Snapchat was such an effective marketing tool originally because most snaps had an extremely high open rate that you just couldn’t get anywhere else, and that matters. If there are 200 million daily users on one platform compared to 161 million on another doesn’t matter if your open/view rate on one is 30% on one and 80% on the other. It would seem there is still room for Snapchat to be effective as a means of communication and content sharing for creatives, though Instagram seems to be really adding the features to keep us there. If you use both, we’d love to hear what platform you find most successful and why. Check out the new Instagram features below from this blog excerpt. See the full IG blog post here. 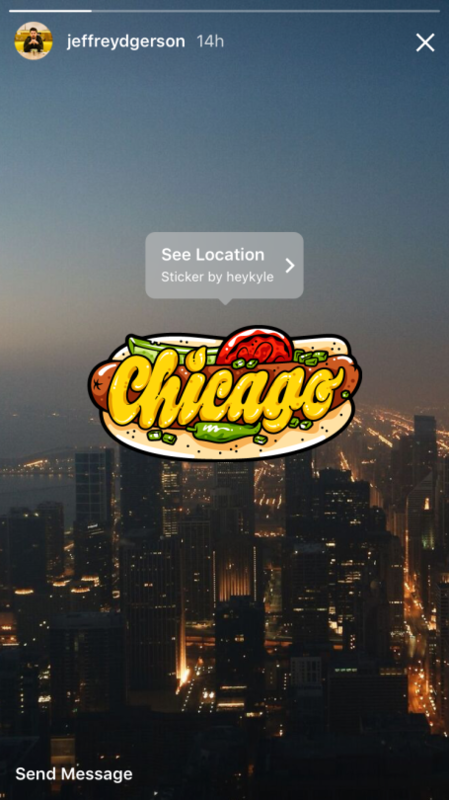 If you live in or are traveling to Chicago, London, Madrid or Tokyo, you’ll also start seeing geostickers for your city over the coming days. All of the geostickers have been designed by local community members to help bring the cities they call home to life. You’ll be able to see the artist’s username when you tap the sticker, so you can learn more about their unique artwork. We’re rolling out a shortcut to your favorite stickers. After tapping the smiley face, simply swipe right to see your recently used stickers. Also, when you record a video using “Hands-Free” mode, tap and hold the button to see a timer that counts down to when the video begins. I don’t like snapchat .. I don’t really get it, or why a photographer – as a business anyways – would spend much time with it. IG is perfect.. or was. Facebook owns IG, and IG is being ruined. The shadowban issue? That’s Facebook converting their setup to mimic Facebook pages. After 6 weeks of being shadowbanned I converted my profile to a personal account and what’d ya know.. no longer shadowbanned. The next service that is somewhat like IG, that’s what I’ll switch to. I, like you, see the benefit more with IG for photographers, but to a degree. Here’s the thing, I notice that past a certain age, people don’t understand Snapchat; they don’t quite get its appeal, nor why the younger generation flocks to it. That disconnect is what I think is critical to keep in mind when doubting the appeal and value of Snapchat, but the numbers are hard to argue with. Did you just call me OLD?!?!? haha, I’m only 30. I actually agree with you, and it’s one of the reasons I don’t like Snapchat for business .. if I don’t get it, and it feels like a gimmicky thing for tweens .. how many people my age and older will feel the same way? Teenagers don’t buy my service – they might refer me to parents, but on IG those parents could actually follow me. The bigger issue though for artists especially, when it comes to social media, is that we thrive on portfolios. Having our work laid out and visible, being searchable, and being able to build the appearance of a cohesive brand identity. Facebook lets us build a storefront, IG lets us build a portfolio, Google + .. just kidding, no one uses that. 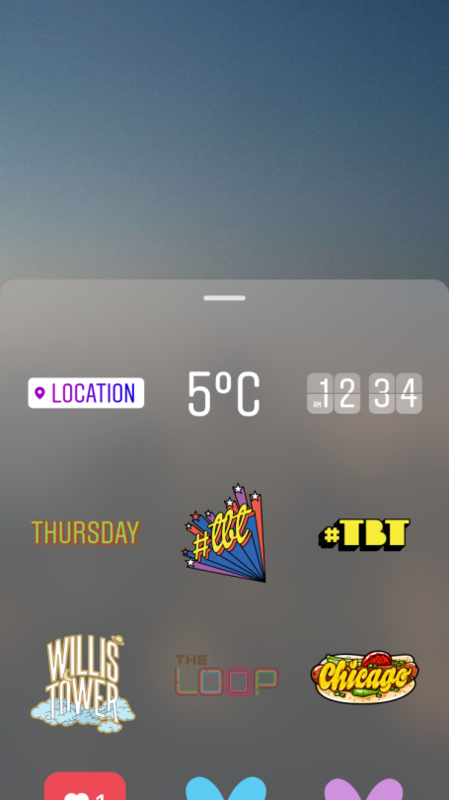 I think IG was smart to steal Snapchats core feature with the stories.. even though I think they’re obnoxious, it’s really just a bonus feature that works better in a system like IG vs it’s own stand alone platform.